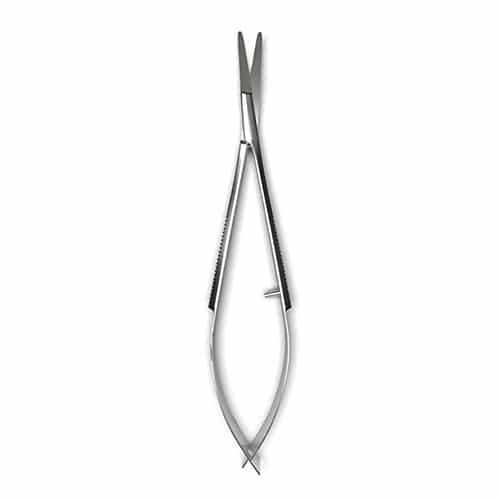 A safe way to keep those unwanted facial hairs in check, these scissors will make great stocking stuffers! Trimming those unwanted facial hairs can be dangerous business when you are using a traditional pair of scissors. Fortunately, you can reduce the risk of nicks, pokes and cuts with these innovatively designed, rounded tip facial hair scissors from Peak. Featuring no-slip finger grips and easy squeeze handles, these scissors are easier to handle and more ergonomic than most other brands. Forget about those uncomfortable twists and odd maneuvers just to get the right angle. Those hard to reach places are easy access with this grooming tool! Hand-constructed from hardened surgical stainless steel, it’s no wonder they are some of our best selling Christmas gifts for men. Their durable design means they are sure to stand up to even the most determined facial hair growth. In the event that your loved one’s facial hair scissors fail, however, simply send them back for a FREE replacement! Additionally, we will even sharpen your scissor blades at no cost to you! Perfect stocking stuffers for men and women alike, these scissors are a must have for any shaving kit or cosmetic case this year.